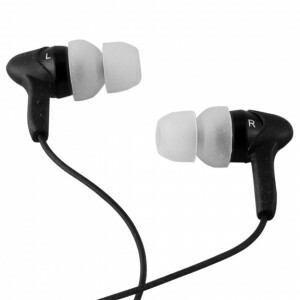 The Grado iGe in ear headphones are ideal for on the go and replace the hugely successful Grado iGi earphones. Grado iGe earphones feature a proprietary wide bandwidth dynamic design that provides you with unsurpassed performance at a very reasonable price. The compact size allows earphone to nestle within the ear canal, maintaining an excellent air seal for improved bass and reduction of outside noise without causing discomfort. The iGe in ear headphones were created with the concept of maintaining faithful to the music so listeners experience true results that are closer to the artist's intentions. Grado Labs invested countless hours of design engineering and listening tests to bring fantastic performance in an affordable in-ear headphone. A raised dot on left earphone provides tactile indication of channel allowing earphones to be put on correctly even in the dark.